NEW PRICE!! 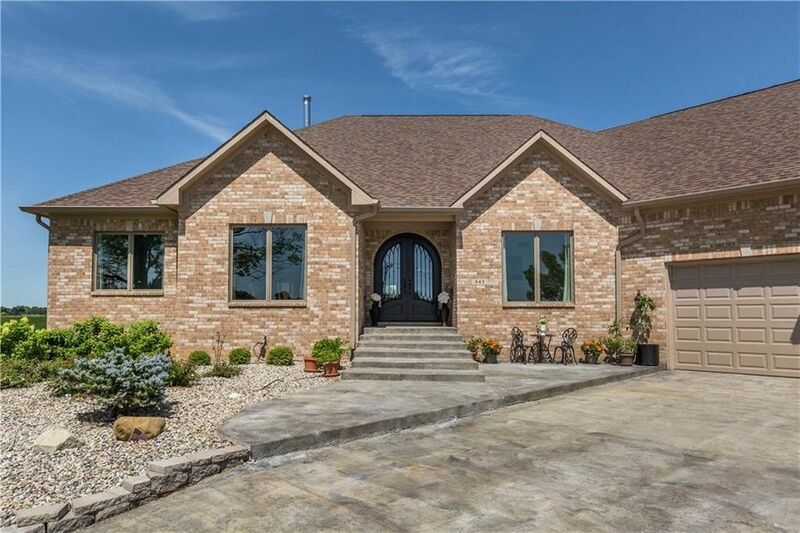 This Custom Ranch Home Will Wow You The Minute You Enter! Beautiful & Built w/ Impeccable Quality! Open Concept Main Level Living w/ High Cathedral Clgs, Gourmet Kitchen w/ Huge Eat-In Island, Wlk-In Pantry, Dbl Ovens. Mstr Suite Has Incredible Walk In Shower, Jacuzzi Tub, Dbl Vanities, & Lg Custom WIC. 3 More Beds On Main W/2 Full Baths. Killer Laundry/Mud Rm! Bsmt To Die For! Awesome Wet Bar w/ Hand Hewn Wood Top, Theatre Room w/ Sliding Barn Doors, 3 Brs Or Play Rm & Xtra Office + Full Ba. AND THE GARAGE!! Xtra Cars/Boats Are No Problem Here! Fit Nearly 8! Vaulted Clgs, Wksp, Indoor Bskbtbll Crt. Geothermal Htg & Cooling & Foam Insulation Thru-Out. Outdr Patio + Blt In Bar/Grill. Serene Setting, Yet Close To Town. Zville Schools. Directions: From Sycamore St, turn left on N Michigan Rd/US 421 N, turn Right onto E 200 S, Take the 1st left onto S 1100 E about a half a mile the house will be on your left.